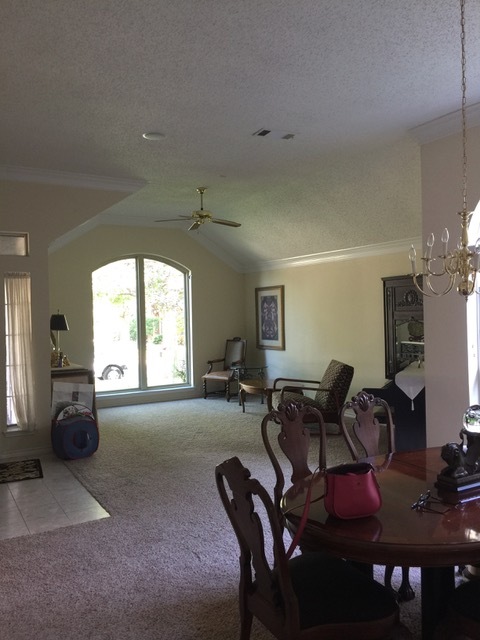 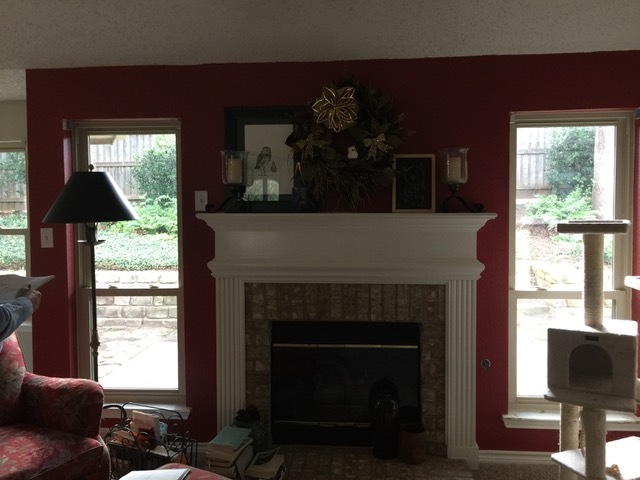 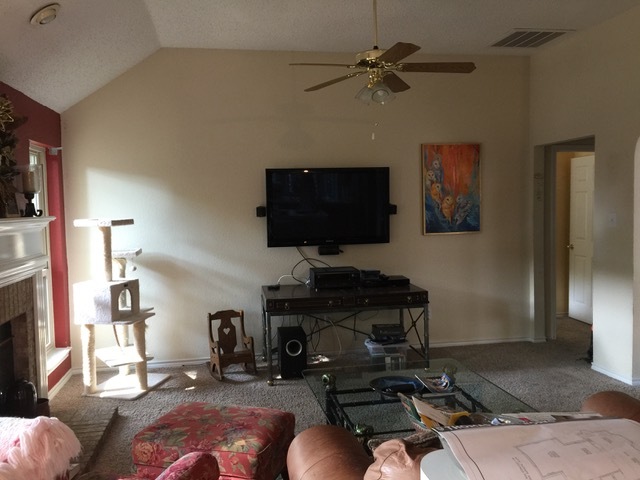 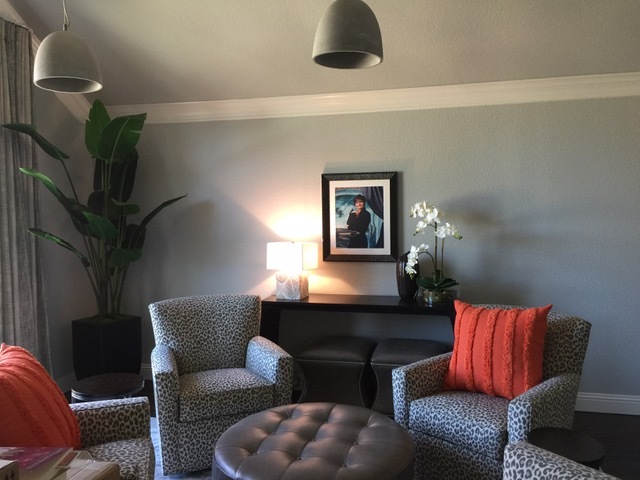 We removed the fireplace and replaced with large sliding doors to bring in loads of natural light and bring the outdoors in! 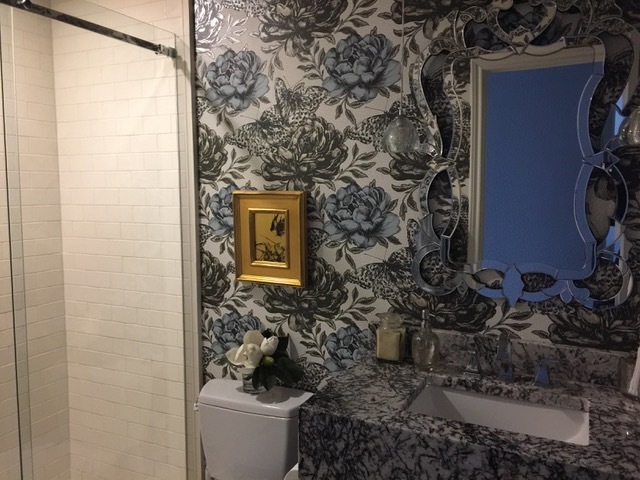 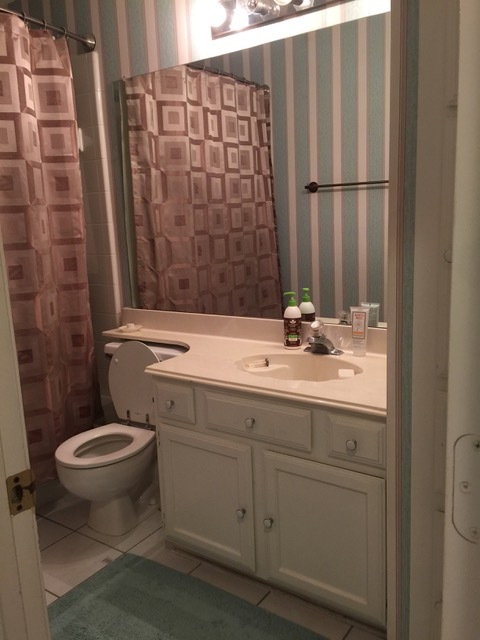 In this small Powder Bath, we removed the vanity, flooring and wallpaper, replacing with new to customer specs. 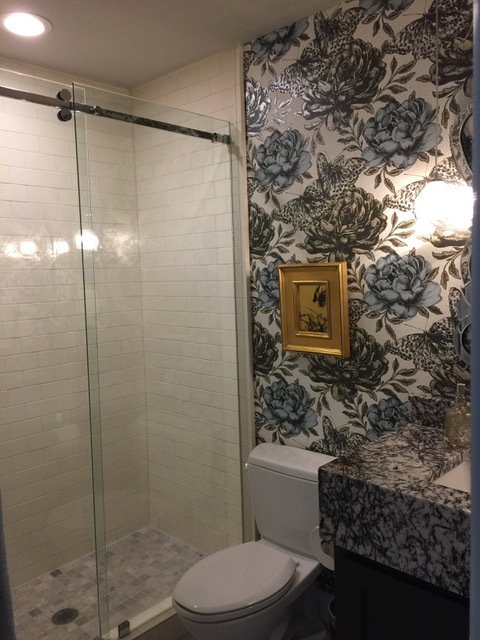 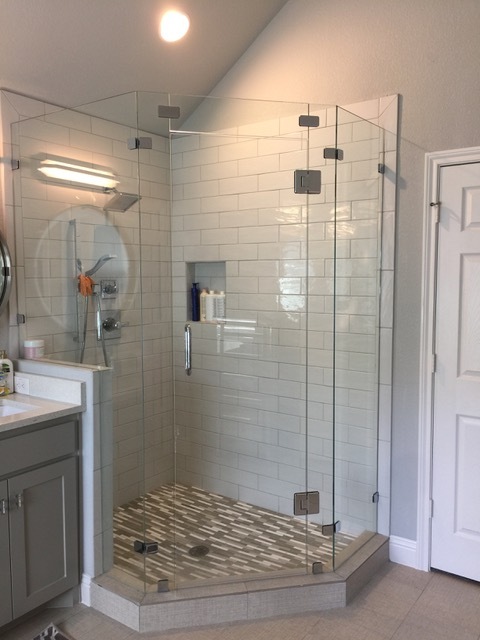 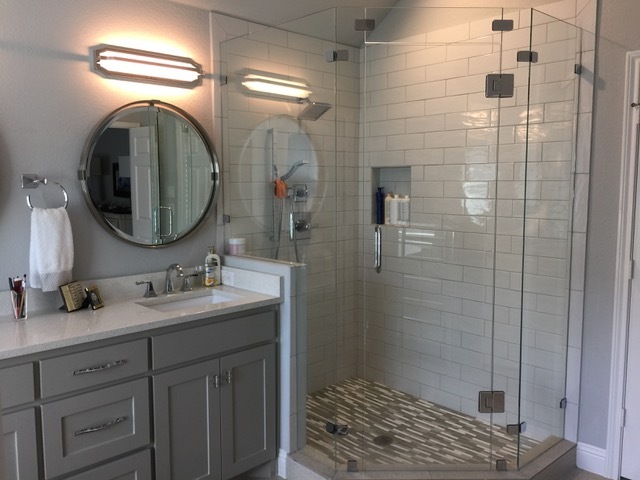 Also removed bath tub and replaced with custom walk-in shower. 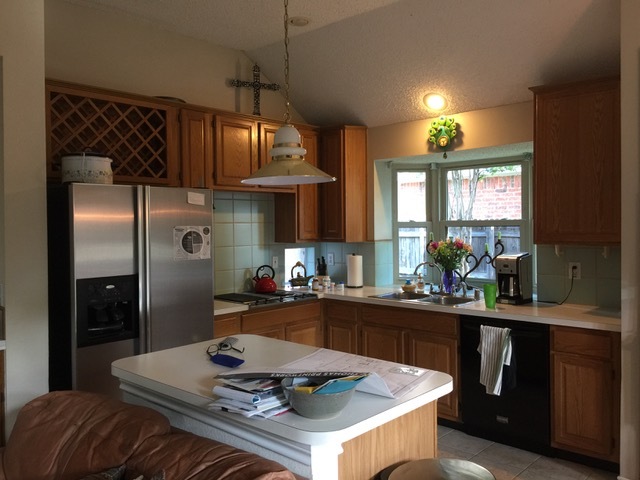 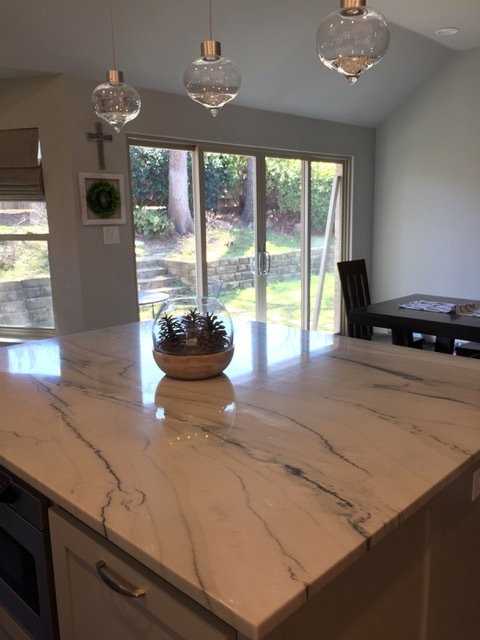 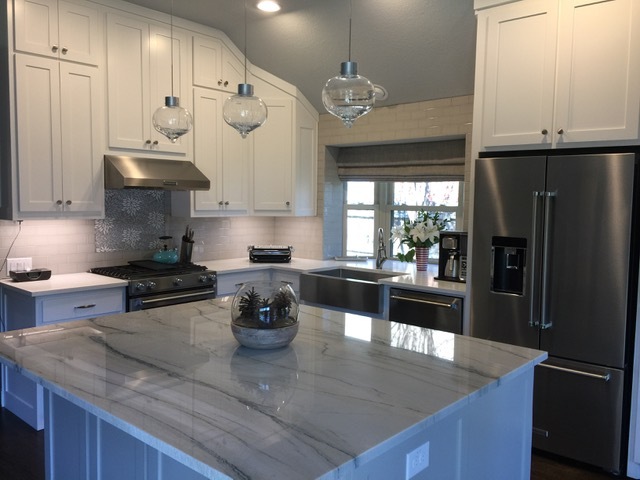 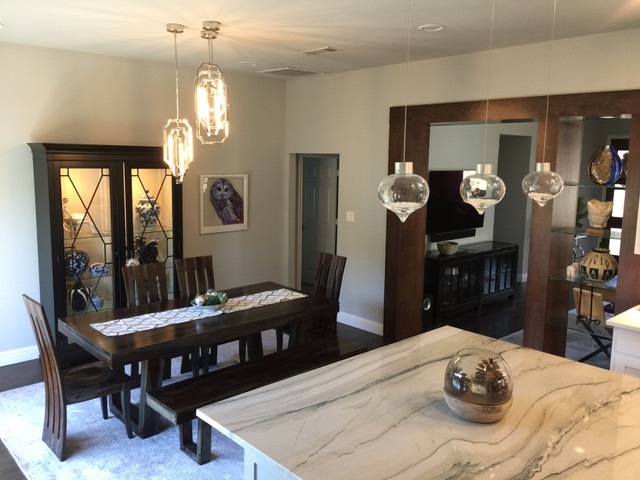 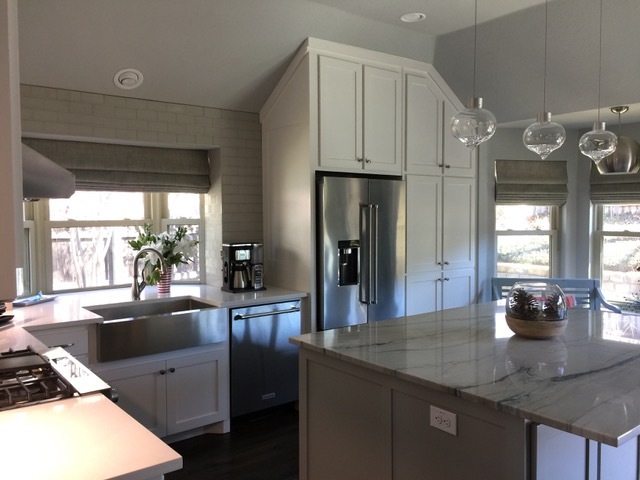 This kitchen has been completely transformed! 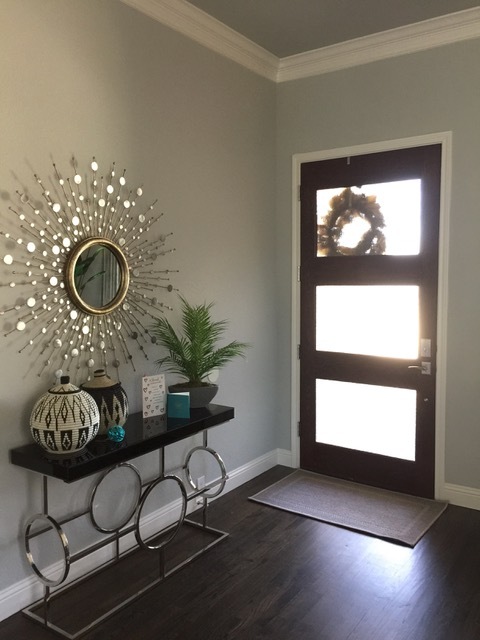 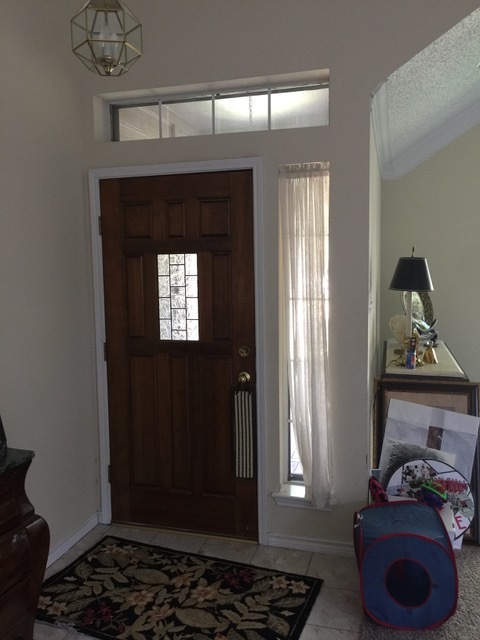 This formerly outdated entryway is now clean, modern and beautiful. 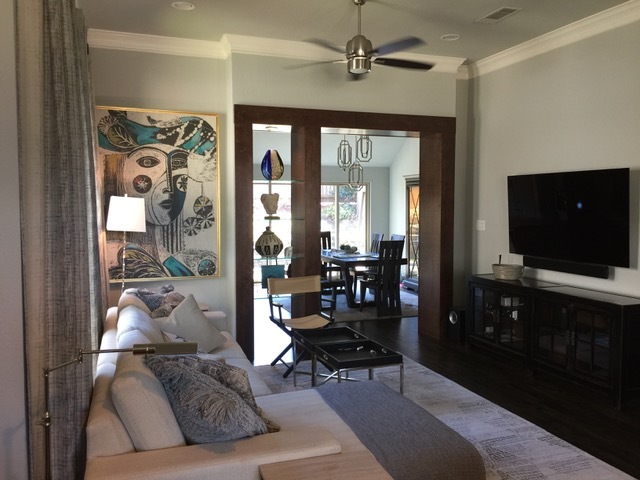 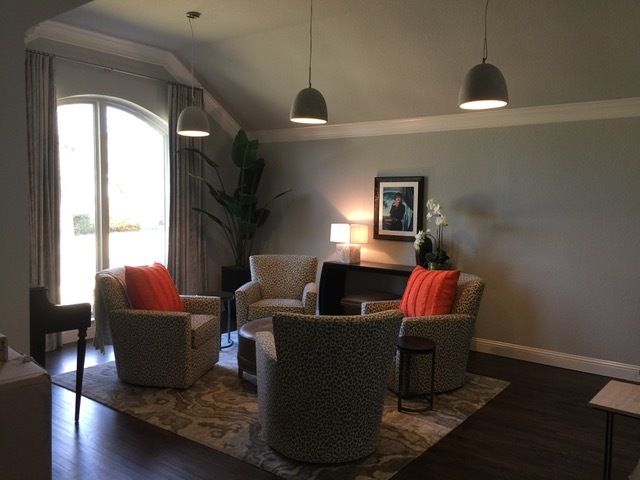 Fresh paint, beautiful drapes, new lighting, flooring and just the right furnishings created this beautiful living space. 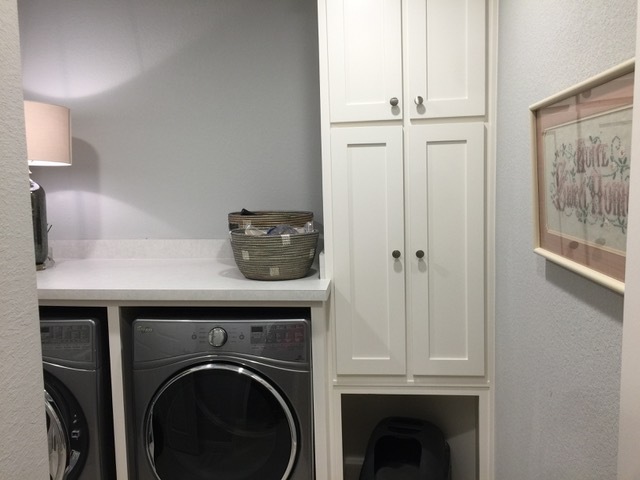 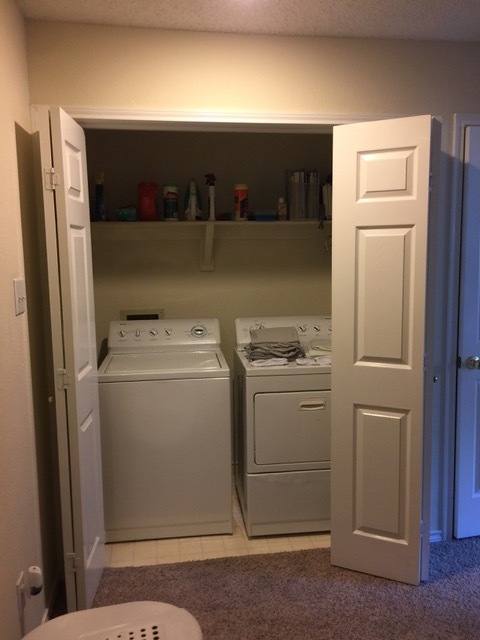 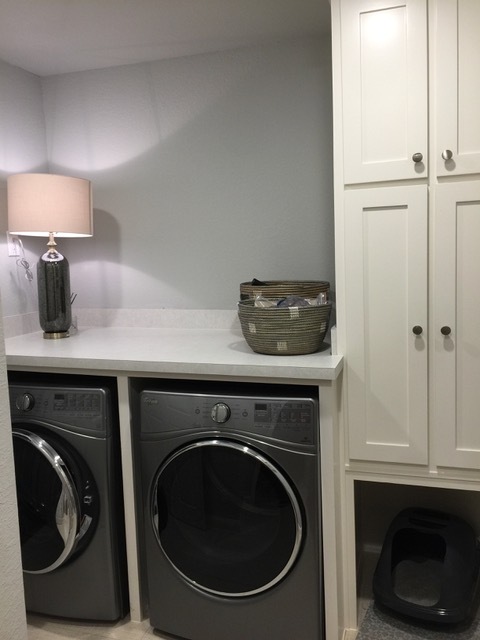 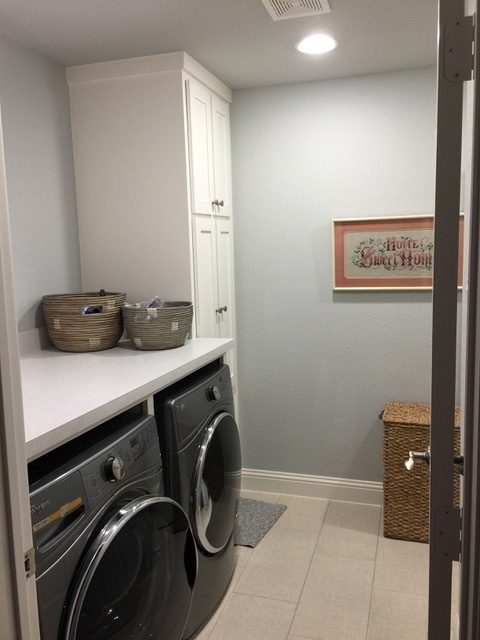 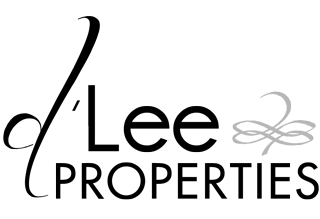 A small closet in the hallway was redesigned and transformed into a utility room conveniently accessed via a passthrough from the master closet. 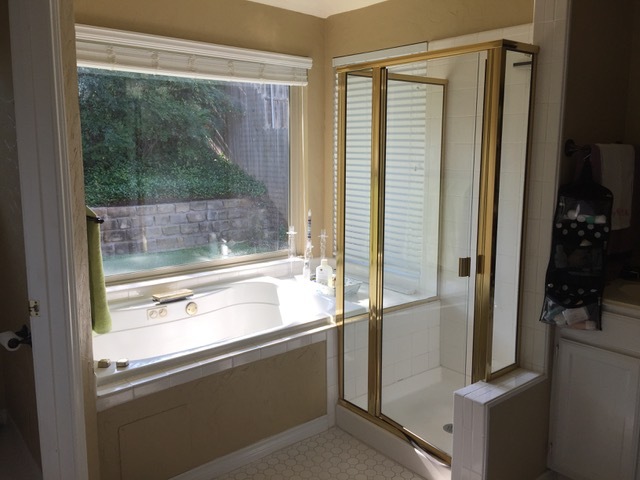 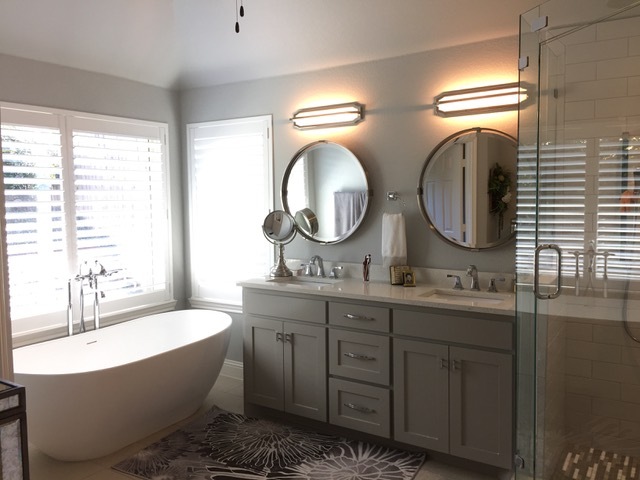 The master bath was completely opened up to utilize the natural light from the private backyard.